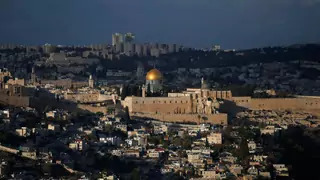 President Trump’s decision to recognize Jerusalem as Israel’s capital and relocate the embassy there could inspire protest and set back the Israeli-Palestinian peace process. Panelists discuss Israel’s national security strategy, including implications for the Middle East and U.S.-Israel relations. Chinese Premier Li Keqiang opens the annual session of the National People’s Congress, and White House senior advisor Jared Kushner travels to the Middle East ahead of Israel’s general election.